UK government minister Greg Clark makes major battery announcements at Internet of Business event. 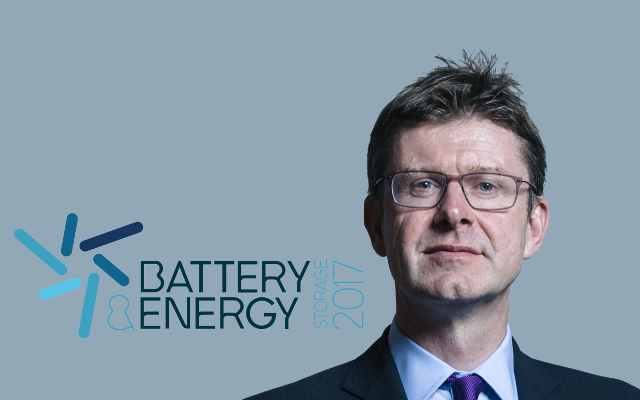 The UK Secretary of State for Business, Energy & Industrial Strategy Greg Clark unveiled the second phase Faraday Challenge funding winners yesterday, in his keynote speech at the Internet of Business Battery & Energy Storage 2017 event. 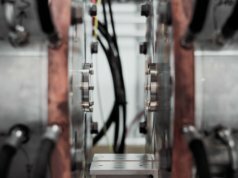 A total investment of £120m from the Industrial Strategy Challenge Fund will be injected into battery innovation, including £40 million through Innovate UK to fund 27 battery research projects. 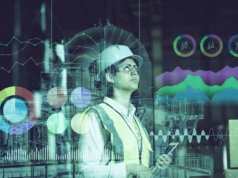 This will involve 66 organisations and encompass key technologies, such as the development of battery materials, design and production of modules and packs, advances in thermal and battery management systems, and recycling of battery packs. He also announced the creation of a new national battery facility, which has been allocated the remaining £80 million in funding. This is the most significant development to date, in what is set to be a £246 million commitment over four years by the UK government. 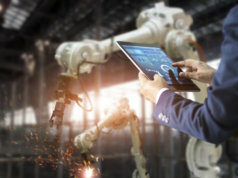 The partnership between the Warwick Manufacturing Group (WMG) at the University of Warwick, Coventry and Warwickshire Local Enterprise Partnership, and Coventry City Council will ensure the UK’s place at the forefront of battery research and manufacturing, said Clark. The National Battery Manufacturing Development Facility (NBMDF) will offer comprehensive academic and vocational training programs, and lead global research. The facility should serve to speed market entry of performance leading products, enable rapid growth and attract investment in key technologies. 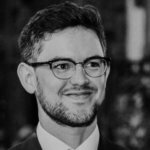 “Battery technology is one of the most game-changing forms of energy innovation and it is one of the cornerstones of our ambition, through the Industrial Strategy and the Faraday Challenge, to ensure that the UK leads the world, and reaps the economic benefits, in the global transition to a low carbon economy,” said the Secretary of State in his speech. Greg Clarke was eager to emphasize the importance of the Faraday Challenge to the future of battery technology, the automotive industry and the renewable energy sector. These principles are being applied to the whole spectrum of batteries’ development and use, from raw materials and advances in electrochemistry, to their end-of-life treatment. Though there’s still a long way to go, as shown by the slow adoption of electric cars, battery technology is becoming increasingly viable from a value perspective. The cost of lithium ion battery production has fallen by 50 percent in the last two years. This has led to developments such as Jaguar Land Rover creating 10,000 manufacturing jobs in the UK from its line of electric vehicles. We will also soon see the electrification of passenger airplanes. 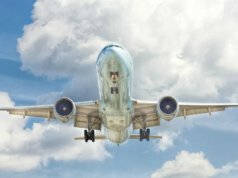 Airbus plans to produce electric hybrids by 2020 and commercialize them by 2025. This cost viability is being reflected in the renewable sector, too. By 2020, we can expect 550 functioning grid-scale battery facilities, which will help to overcome the variability that comes with generating energy from the UK’s unpredictable wind and sun. 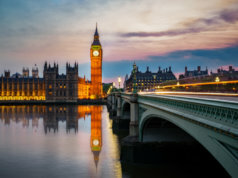 With rapid advancement in technology comes a need for regulatory reform and Greg Clark was eager to emphasize the government’s work with Ofgem to remove these roadblocks. The regulator is currently modifying electricity generation licences to accommodate energy storage. Can the UK lead the way? Warwick University’s campus was a fitting venue for the Battery & Energy Storage event and the Secretary of State’s announcement. The institution has been a proponent of industry and research in the area for decades. Even the building in which the conference took place acted as a microcosm of the event’s vision for the future, with its solar panels and sustainable design. 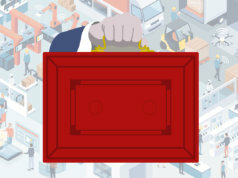 The announcement leaves the impression that, though we may not have the comparatively limitless budgets that counterparts elsewhere in the world have, we have a deep vein of talented scientists and engineers in the UK that enables us to punch well above our weight. As the country where the lithium ion battery was invented, and given the key role that batteries will have in the future, it’s important that the UK remains at the head of battery technology worldwide. The National Battery Manufacturing Development Facility will have a vital part to play, if that goal is to be achieved.